Constructed as the New York branch for the former Bank of the United States, and was designed by Martin Euclid Thompson, a noted artist and architect of the period. The building was completed in 1824, when Thompson was only 28 years old. 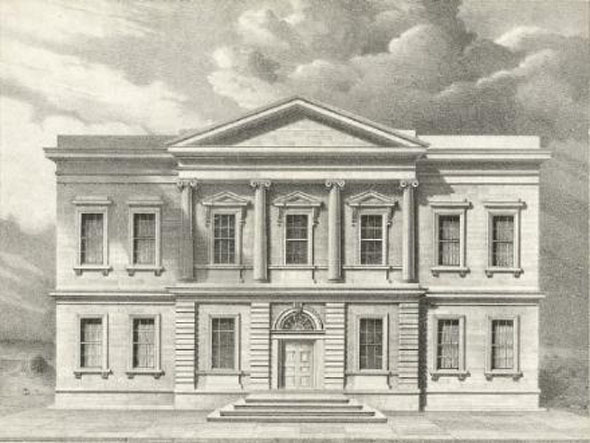 After the Bank of the United States was abolished by President Andrew Jackson, the magnificent edifice would become the United States Assay Office for Manhattan. When the Assay Office was slated for demolition in 1924, Robert W. deForest preserved the building’s façade, and moved it to Central Park where it became the south façade of the Metropolitan Museum of Art’s American Wing.